I've been away for a few weeks spending a wonderful time with family and friends in Michigan. The irony is that for several days Michigan was actually hotter than where I live in Florida. I was looking forward to cooler weather...and didn't get it as often as I would have liked. Now that I'm home, it's time to get busy crafting again. 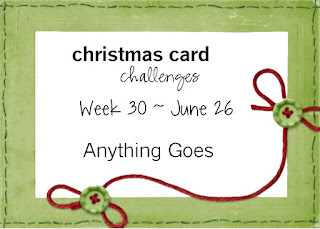 This week at Christmas Card Challenges it's "Anything Goes." 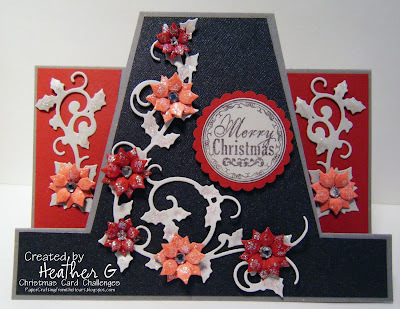 So grab your supplies and get busy making those Christmas Holiday cards. I did a twist on the standard Center Step Card. And I'm including the pattern so you can make one yourself. If you do, please leave a link to your card in the Comments below. Or, if it's a Christmas card, link it up to the weekly Christmas Card Challenges. I'd love to see what you create. 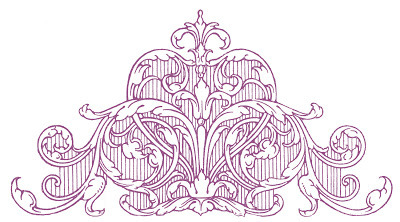 Start with cardstock 8.5" x 4.25" On the wrong side, measure and mark where the dots are on the pattern. I'll try to explain it, but hopefully the visual will fill in any gaps. Score at 1", 2" and 5.25" DOWN to the cut line (from the top) and UP to the cut line (from the bottom). Flip the cardstock over (so your marks are on the inside). Starting at the left edge (where your 1" score line is), your folds will be mountain, valley, mountain, mountain. 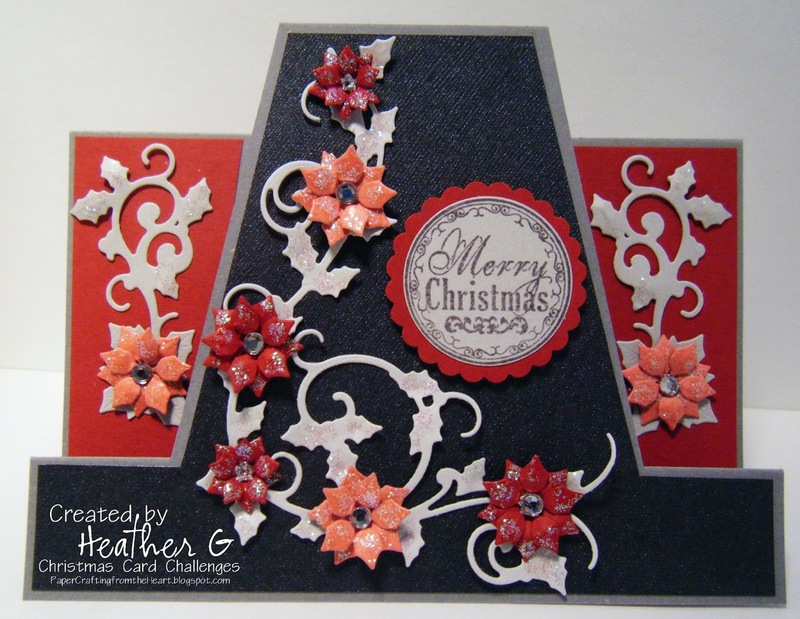 To mat the card, I just repeated these steps on an accent color and trimmed it smaller for the dark grey piece. For the burgundy pieces, I cut a piece 3-1/8" long by 1-3/8" at the top and 1" at the bottom. Be sure your "straight edge" is on the left on one piece and the right on the second piece. I added a place to write a note on the back (5-3/8" x 3-1/8"). Decorate the front however you want ... and you're done. I hope you join us this week. We're almost into July and before you know it, it'll be time to mail out those Christmas cards. Wouldn't you love to have a stash ready to go? Click here to see what the other Designers created this week for your inspiration. Yay! Glad to see you back with your Christmas creations. This one is a stunner in design and colours. Beautiful!